Even if you think that the desk chair in your office is quite comfortable, sitting for long periods of time could still be causing permanent damage to your back, shoulders,and other parts of your body. due to ergonomic issues. Sitting too much during the work day is currently considered one of the greatest health issues in the United States because of the number of people it affects and the degree to which it can influence ones health. 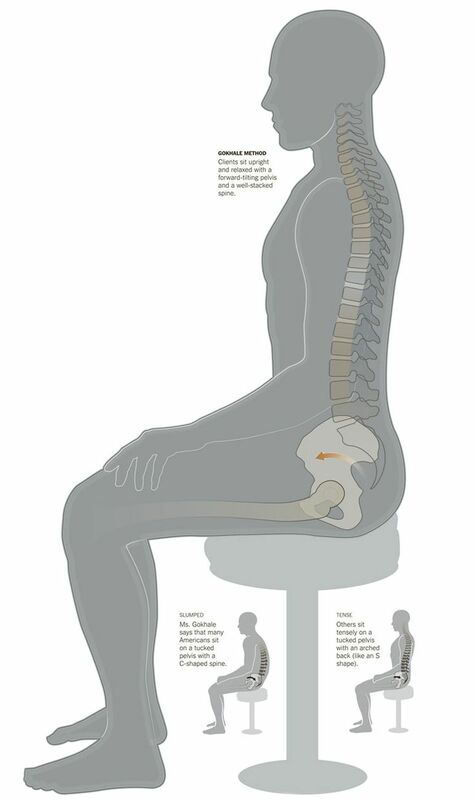 The way you work should be reconsidered: with minor adjustments you may be able to sit comfortably all day long, avoid painful diseases, such as arthritis, and improve your mood. First of all, try to stand up at work as much as possible, whether that means standing at an adjustable desk or walking to the break room. 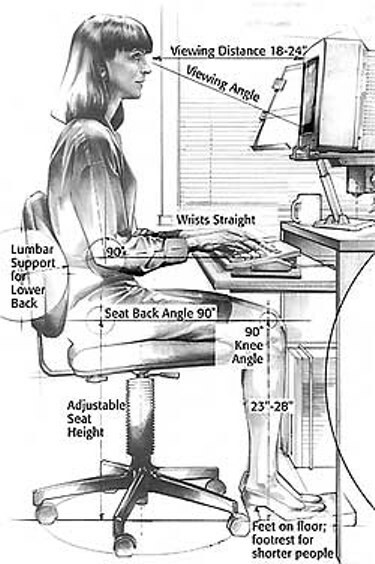 Whenever you're seated, make sure that you're doing so in an ergonomic computer chair. When sitting, you should sit as close as possible to the desk with your upper arms parallel to your spine and url lower arms perpendicular. Your hands should be resting on the work surface comfortably. 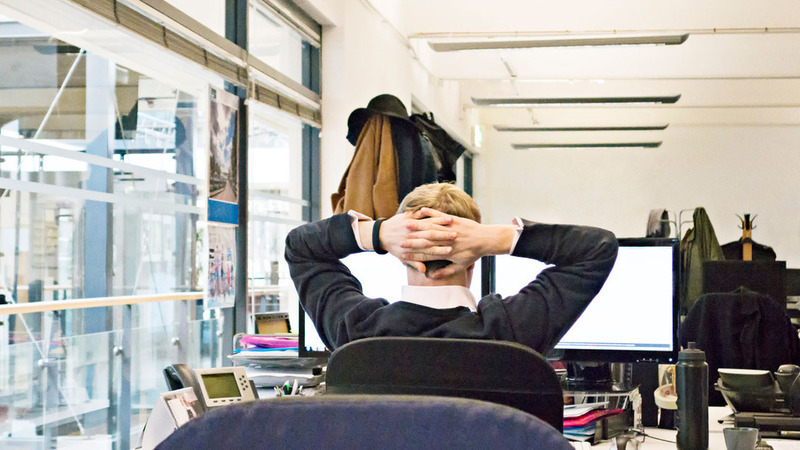 You should be able to adjust your desk higher or lower until your elbows achieve an optimal 90 degrees. Your knees should also be bent at a 90 degree angle, despite the short term comfort of kicking up your heels. You should practice maintaining this posture for as long as possible, and stand up to stretch when you find yourself getting uncomfortable. It is strongly recommended that you also have an adjustable work desk, which allows you to stand up and work for at least part of the day. workers achieve greater efficiencywhen they are standing up. 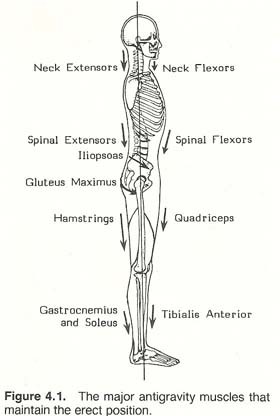 Standing up also prevents ankle swelling, something that even otherwise healthy people can suffer from when they sit for long periods of time. 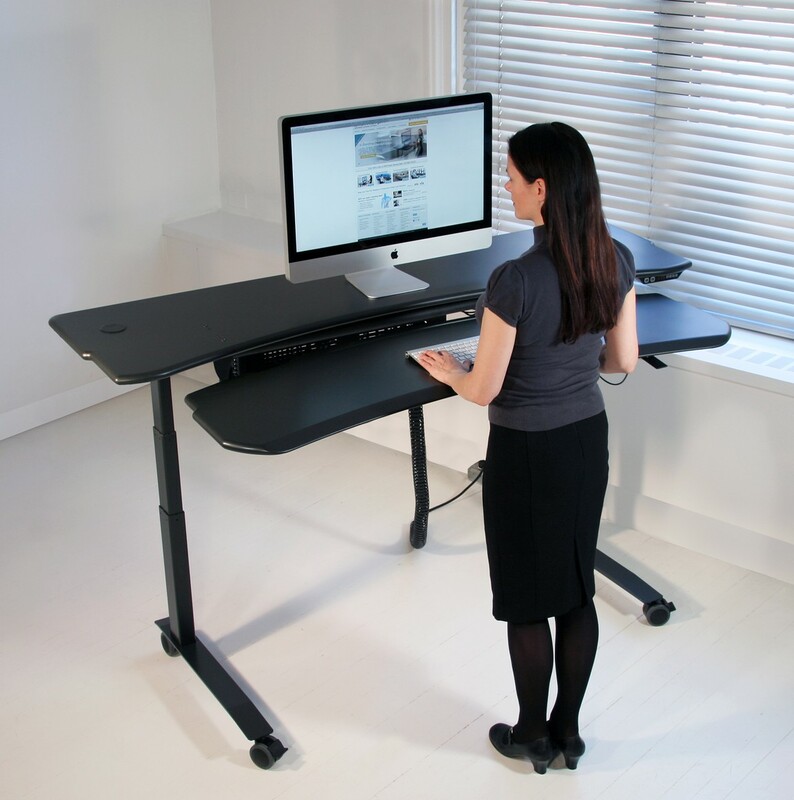 Swelling can occur simply from sitting in a chair that is higher than optimal, and that’s why an adjustable standing desk is an attractive option. Of course, when paired with one of the best ergonomic office chairs on the market, it's an even more effective work set-up. Shopping for new office furniture? 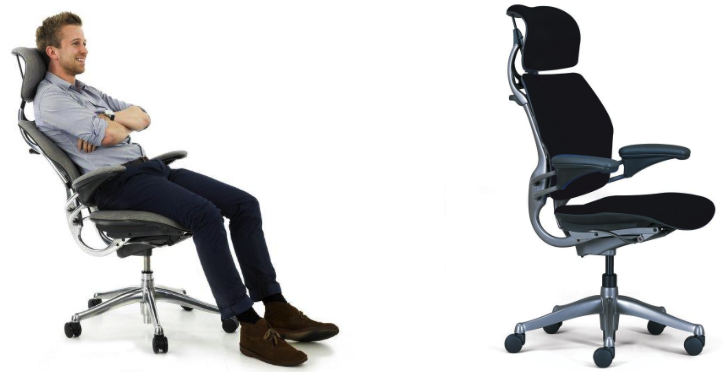 Check out the selection of premium adjustable desks and ergonomic chairs here, at Biomorph.